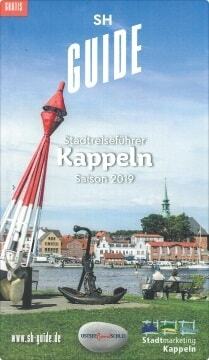 Once a year the Kappeln Herring fence – the only one in Europe – becomes the centre of attention. During the “Heringstage”, when the city is celebrating its Hering fence, thousands of visitors come to watch the Herring fence-guard hauling the net. The number or weight of the freshly caught herring is the main object for the Herring bet. Afterwards they will be prepared for eating. While standing on the life boat “Nis Randers” invited celebrities have to bet the weight of the freshly caught herring. The ones who are best in estimating the weight of the freshly herring fence-caught herring win the bet and become the herring king and queen. To participate in the bet the celebrities have to pay 75 Euro, which are used for preserving the Herring fence. In December 2002 the new bridge over the Schlei in Kappeln was opened. The old one, which was a swing bridge, has already been taken down. The new bridge is being called the “project of the century”.